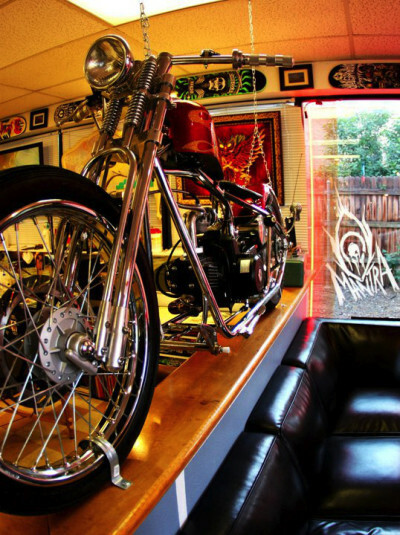 At Mantra Tattoo we combine experience, quality, customization and professionalism, all of which makes us the best tattoo shop in Denver. The products offered in our tattoo studio in Denver range from customized tattoos and tattoo machines, to clothing, piercing and tooth gems. 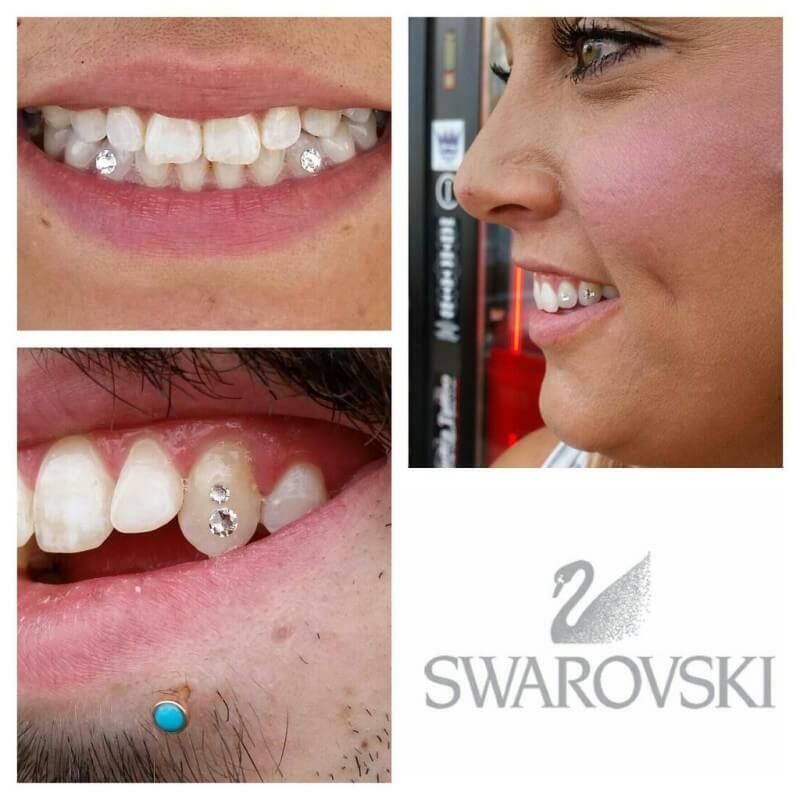 But our tooth gems are not ordinary ones, we offer Swarovski crystals! The Swarovski Company has a well-known reputation around the world for being one of the best crystal manufacturers, thanks to their high standards and impeccable crystals, which are the same that we have available at our tattoo and piercing shop. The process is simple: we will place the crystal gem by gluing it to the chosen tooth, which will only last for a few months and is pain free. Come visit us to get your custom tattoo in Denver designed by one of our experienced tattoo artists. Or pick up a nice piece of body jewelry and get pierced by one of our professional body piercers in our Denver Tattoo Studio.